Thomas Trowbridge is a 10th Greatgrandfather of cousin Betty Jane Prudden (Taylor). Thomas was born in England on February 8, 1598 in Taunton, Exeter, England. He married Elizabeth Marshall in 1627, had 4 children, and emigrated to America in the 1630s. His children stayed in America and their descendents moved all across America. He was a hero in the British Civil War fighting the crown as a Captain in the Parliamentary Army. He led his men defending a castle during a 7 month siege. One famous descendant of Thomas is the super model Cindy Crawford (and yes, a distant cousin of Betty Jane Prudden). Cindy’s connection to Thomas was recently aired on the TV show “Who do you think you are?” on the The Learning Channel. To view the Cindy Crawford Episode, click here. Be sure to following the second half of the show when she investigate Thomas Trowbridge, … and think of my relative Betty Jane Prudden! The signature of Thomas Trowbridge, from a pension record. This is my Great Grandmother, Charlotte Ross/Sturrock. 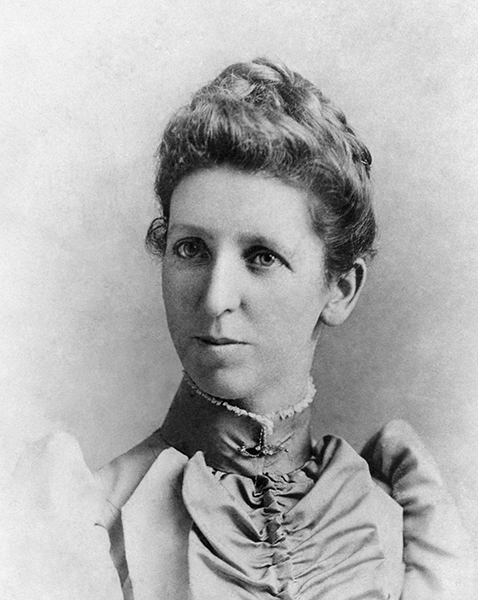 She was born Charlotte Ross in Scotland in 1864, and immigrated to the US in 1892. She settled in Jersey City, New Jersey. This is a photo of her that I have restored.